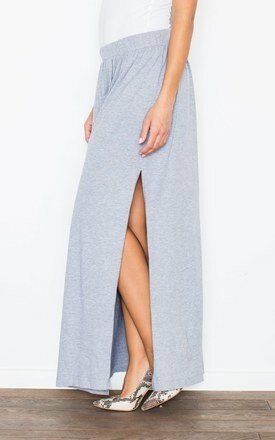 Cotton maxi skirt with a long slit at the side. It has elastic waist and slight gathering at the top. It’s perfect for the summer, the slit shows off the leg nicely.